A Tsunami Wave of the Holy Spirit is on the Way. Are you ready? We will help you to "take the wave"! We will prepare you to "harvest harvesters". It is time to Harvest the Harvesters IN A GREATER WAY! God showed Todd that He is sending angels on assignment! ANGEL 1 - Winds of Change. The Angel called “Winds of Change” is full of miracles, wonders, and signs. This angel moves with movements. ANGEL 2 – Revival Breakthrough. This angel prepares the Church for the coming harvest. It is connected to manifesting and releasing the Glory Presence of God.Todd saw many glory revival fires burning.They became one great fire. America was ablaze with glory fire. God will use many places and faces to spread the fire. Breakthrough Revival Angel is key to stewarding and releasing the moves of God that will equip and awaken the Church (again). ANGEL 3 – Harvest Awakening. This angel places a harvest mantle on people and groups.The harvest mantle is both the power and the glory of God. People become better able to move in resurrection power and glory for the harvest. TIMES OF REFRESHING - First, a great move of refreshing will come, like on the day of Pentecost. A supernatural wind will refresh us bringing breakthrough and revival for the Church. Pray for God to send these Angels to America, our Region, our Ministry, our Sent Ones, and Ourselves. Will you strengthen your skills as a HARVESTER? There are three tracks. These may be done individually or simultaneously. The basic content of track 1 is foundational and is included in all three tracks. We are excited to offer three learning tracks ending with a Certificate of Completion OR Certification in a variety of engaging formats. This track will help you in ministering freedom as well as discipling and mentoring people. You will learn the skill of spiritual direction. Essentially, this is the art of listening to God and listening to people at the same time. This interactive course is designed for those desiring to learn and provide spiritual direction through personal discipleship mentoring. This course will take you on a discovery journey through engaging the Essential Skills of Christianity to prepare you to be a spiritual director or discipleship mentor in the lives of those you engage and influence. For more information about our Discipleship, Mentoring or our Spiritual Direction philosophy, program and process, please send us an email at: KingdomSendingCenter@gmail.com. We would love to send you the course outline and assist you with its completion. Upon completion, you will receive a Certificate of Completion confirming your accomplishment. This track will empower you to assist others in enhancing the quality of their lives and in achieving their dreams. The certification is optional and can be completed in one year. If you are more of an audio learner, we have a audio book list for your use. This is an interactive course for those serving in ministry or business, either as a volunteer or professionally. This course will take you on a discovery journey through engaging topics to prepare you to be life coach in your sphere of influence to make the difference in the lives of others. For more information about our Life Coaching program and certification process, please send us an email at: KingdomSendingCenter@gmail.com. We would love to send you the course outline and assist you with its completion. 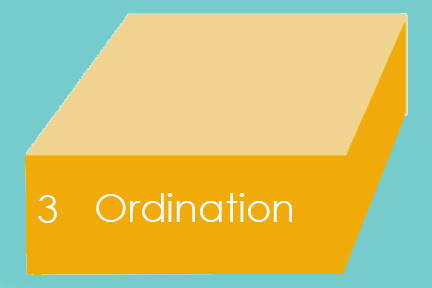 In order to become ordained by this ministry, you will also be trained in basic ministerial sacraments of communion or baptism, and the marriage and funeral services. There are some other basic requirements which will be explained in your first month. These very interactive, practical trainings are designed to equip you in core essentials as you seek to administer them in your sphere of influence or nations as ordained clergy. These Holy Spirit-inspired trainings are led and facilitated by ministry leadership to powerfully impact a ministry leader who seeks the platform to assist others seeking the "more of God", carry the authority & power to pray according to Mark 16:15, and be able to administer and provide the basic services of weddings and funerals and the sacraments of communion, and baptism. We invite you to join in on our monthly Training dates to fully encounter what God has for you on these topics. Special Note: To those of you who have attended trainings in the past, although the topics may appear to be similar, the evolving trainings are designed completely different than what you have experienced. By the power of Holy Spirit, as our refreshing Source, He has given us fresh revelation about each topic for your enjoyment. 1. Books. Our Ministry Founders, Ben & Brenda Peters have written over 20 books that have impacted thousands to go deeper into relationship with God, others, and given readers a better understanding of themselves. The books are an easy read with many thought-provoking questions and content to stir your heart to pursue God with even more vigor and vitality. To source these books, click HERE. 2. Handouts. Over many years of training many people, we have developed a good number of practical handouts, we refer to as basic biblical principles of Christianity. Here are the ones now available for download. More will be coming soon. 3. Events. We offer a number of events and conferences throughout the year. Our most popular event is the Encounter God Services and the 2nd and 4th Friday night (7-10pm) of each month. We invite you to adventure with us in worship, prayer and training, as we work on the practical, essential skills of Christianity that God is highlighting to offer and present to prepare the Church in the ready position with eyes on Jesus. We are seeking God, by the power of Holy Spirit, on how we will effectively train in this next ministry year. We recognize we are in a shift, and desire to be sensitive to the needs of the season, especially within the Body of Christ. We have our prophetic eyes and ears open to what the Spirit of the Lord is saying. Jesus invites people to experience the maximum goodness of who He is and then demonstrate how His Kingdom operates. Together we will encourage each other to seek clear biblical understanding and faith to walk it out. Our trainings are both a place and forum for personal discovery. Together we will invite and seek innovative biblical understanding. Our intent is to access and live all that is available with supernatural love, insight and power. As a result we will equip, activate and send fully surrendered and effectively empowered lovers of God to influence society and nations in order to expand the Body of Christ and God’s Kingdom on the earth.